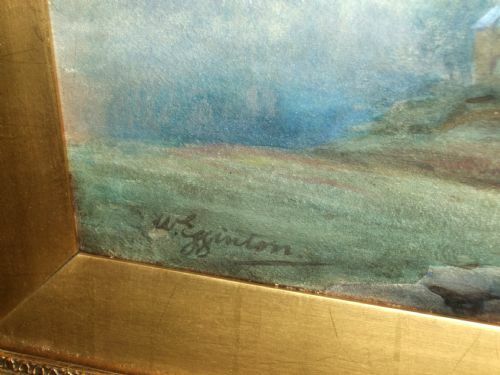 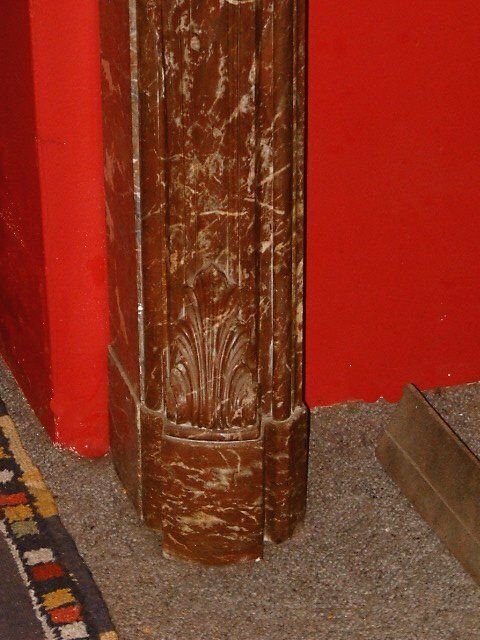 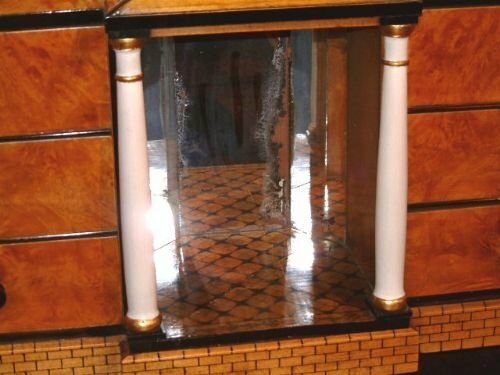 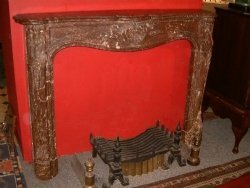 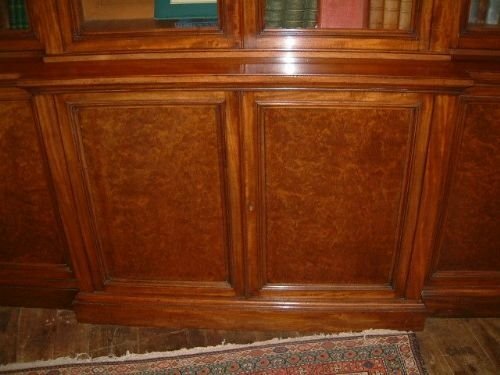 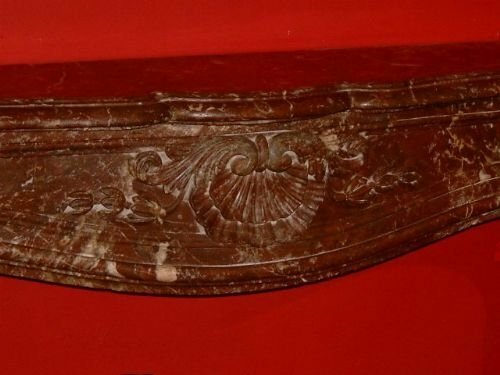 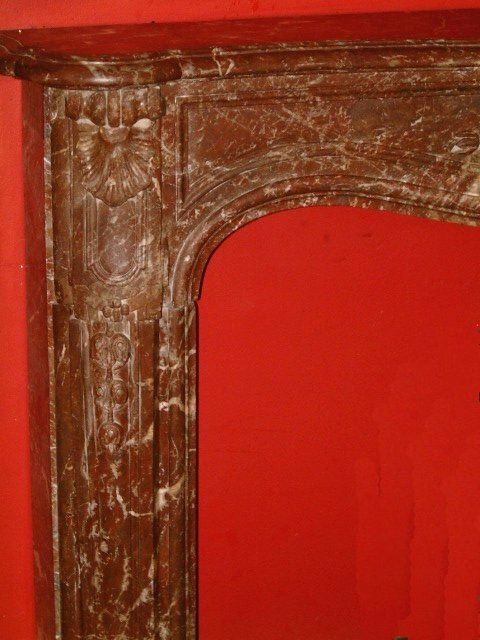 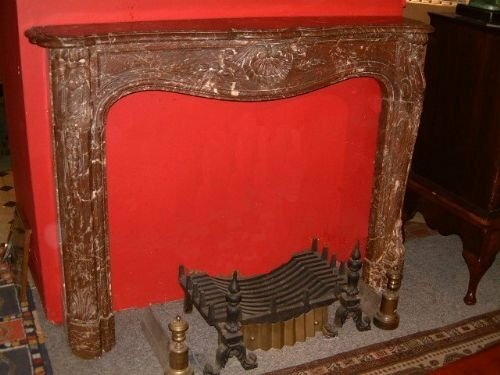 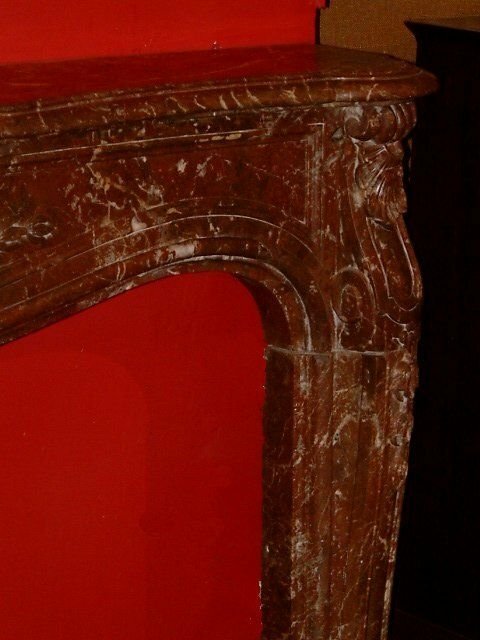 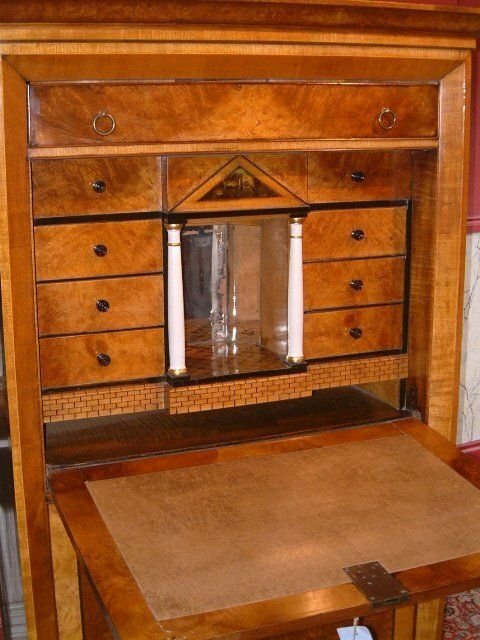 Superb Early Victorian Breche Violet Marble Fire Surround in the Louis 14th Style, Excellent Carved detail. 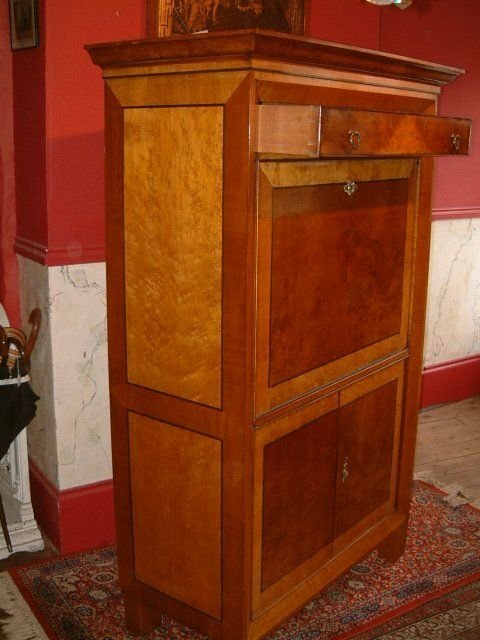 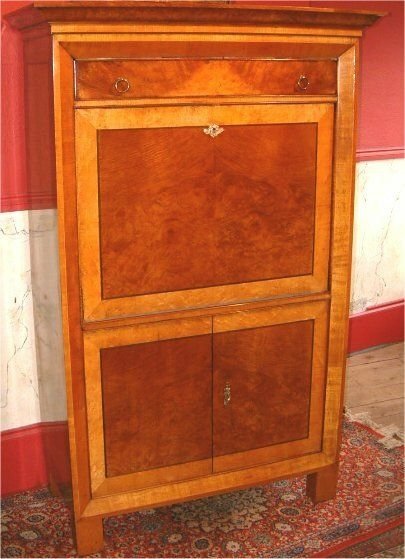 Beautiful Colour Timber, Supported on Bulbous Legs & Brass casters. 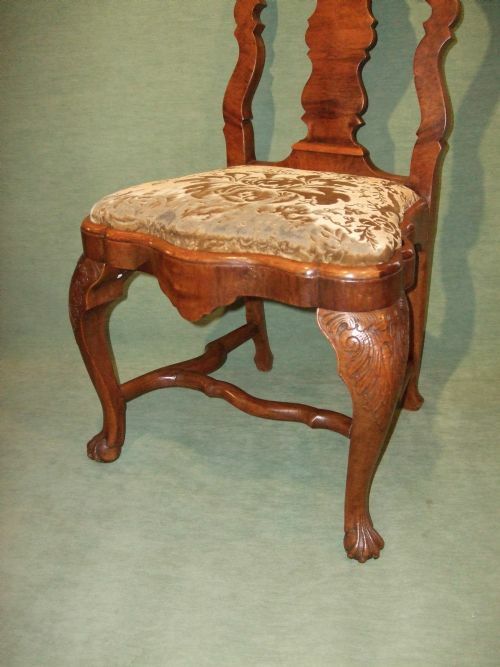 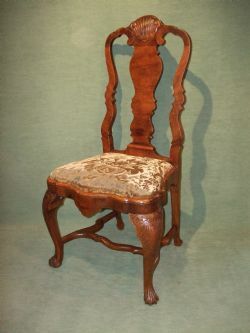 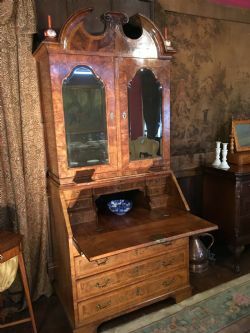 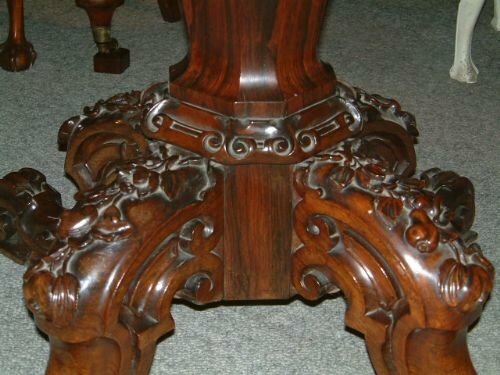 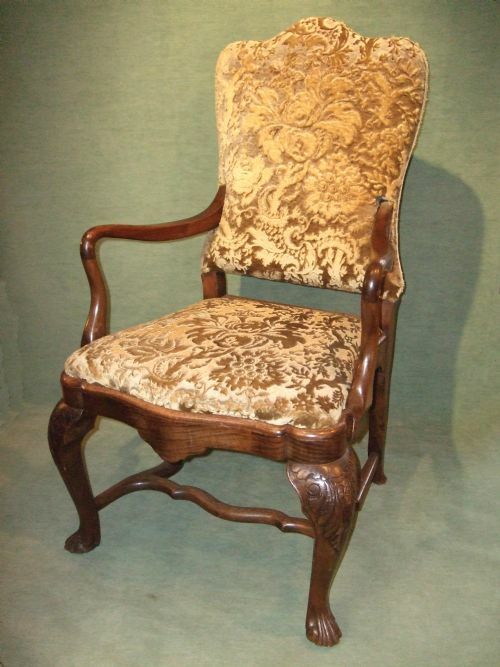 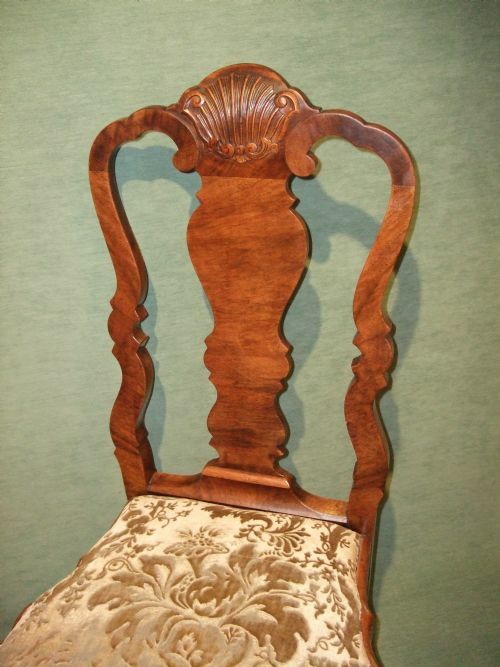 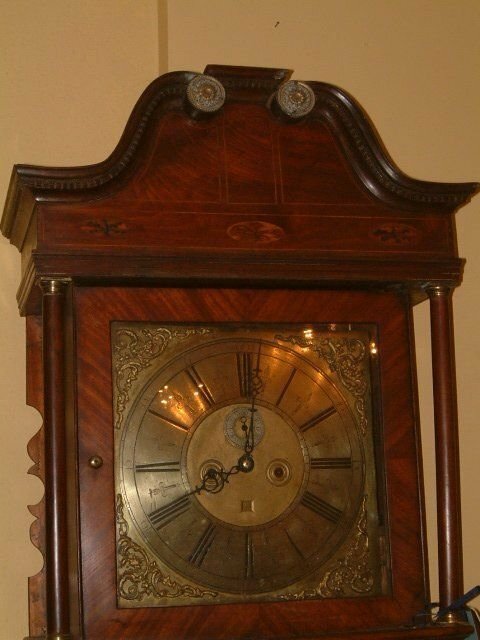 Fabulous figuring to the top Supported on heavily carved Solid Rosewood Base. 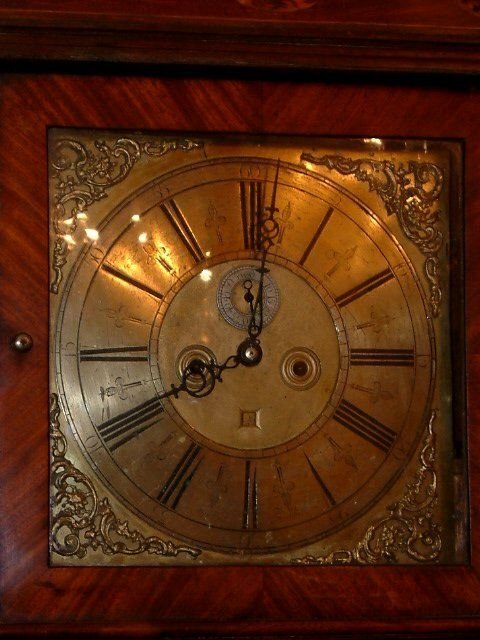 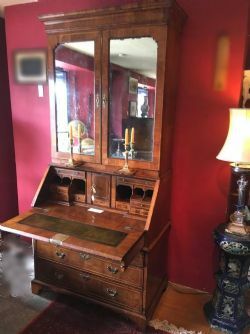 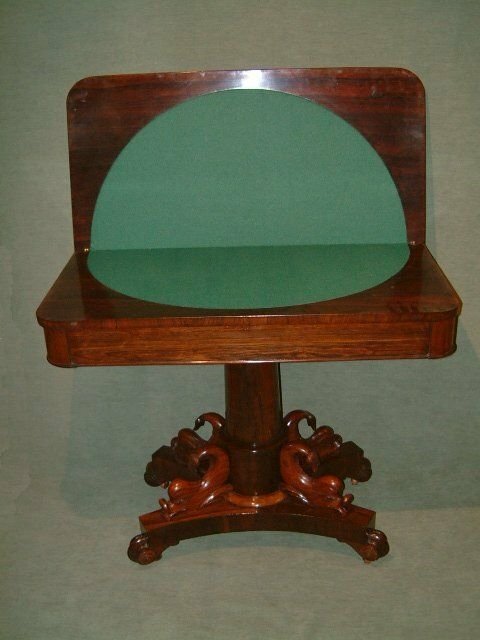 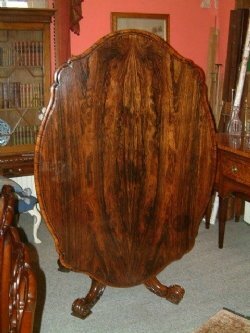 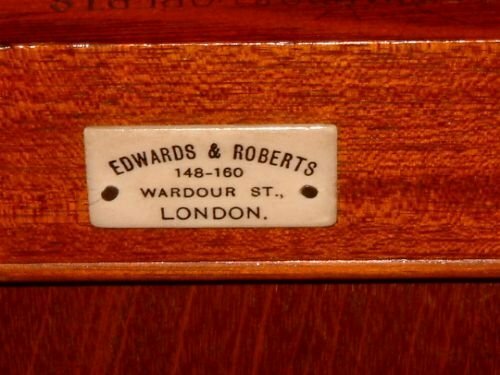 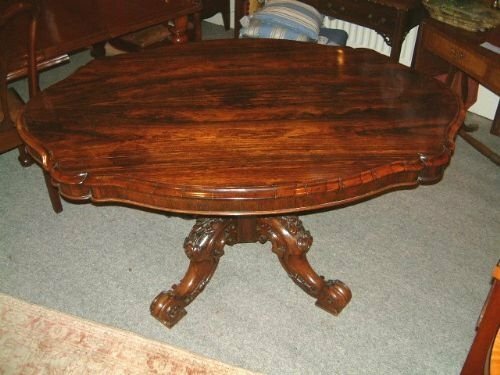 62" x 44" Height 29"
Superb William 1Vth Rosewood Card Table with Dolphin Carved Pedestal Base, Excellent Choice of Rosewood supported ona an unusual Dolphin Carved base, later Green Baize. 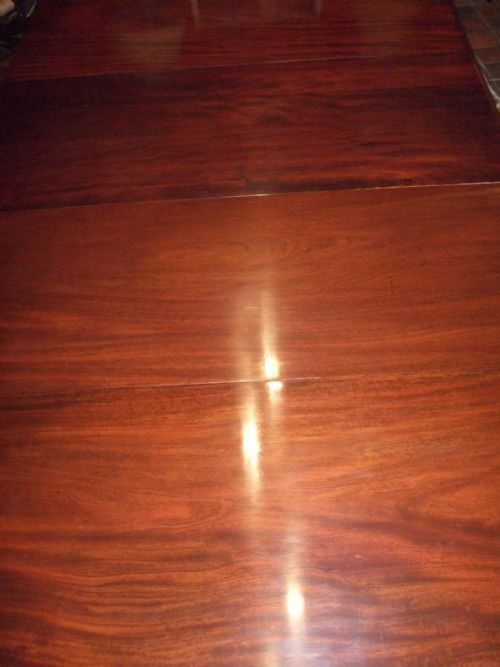 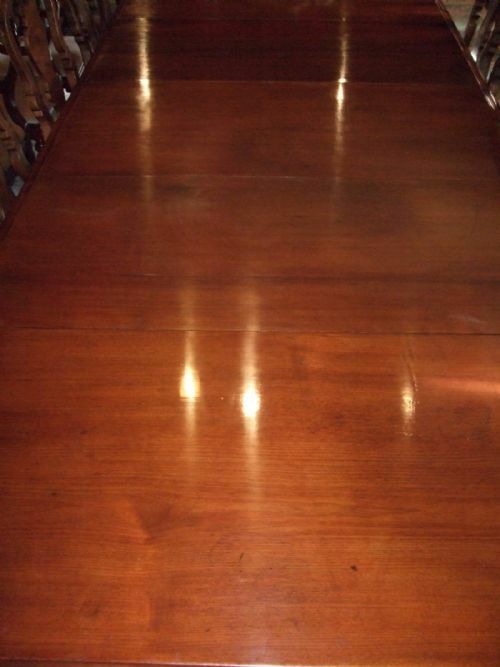 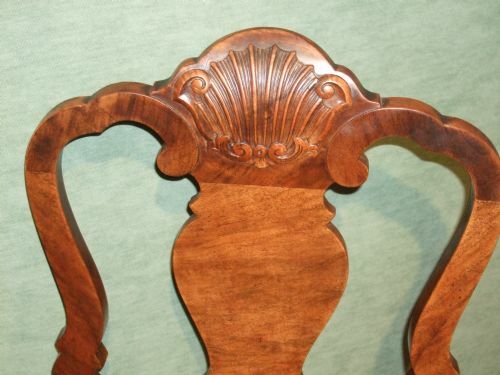 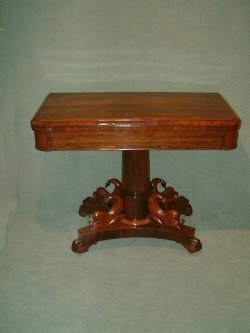 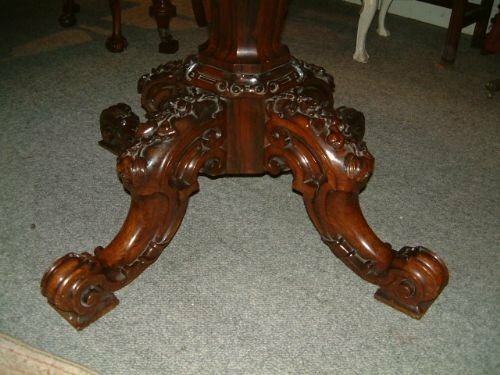 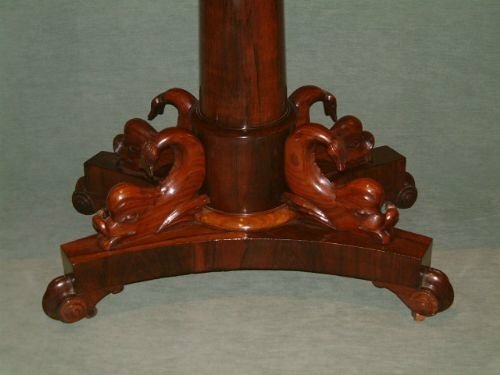 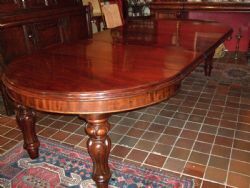 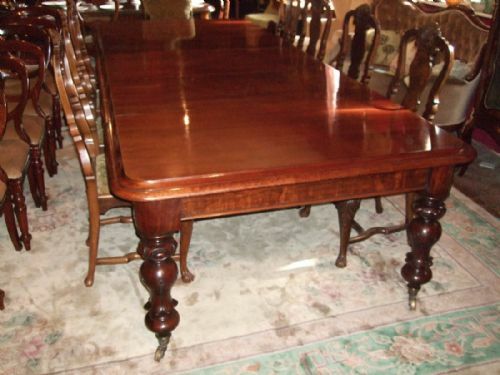 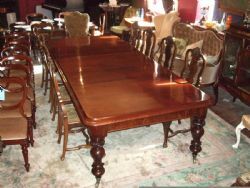 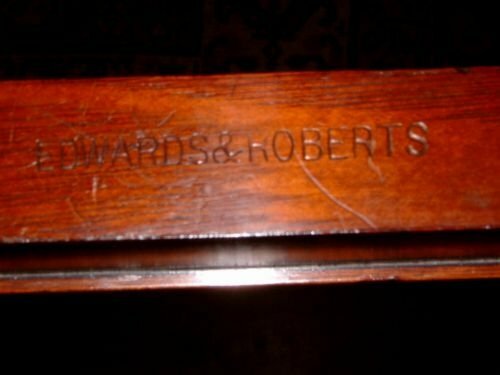 Victorian Mahogany Wind out Extending Dining Table with 3 Leaves Supported on Brass Castors, Fully Restored Beautiful Figuring. 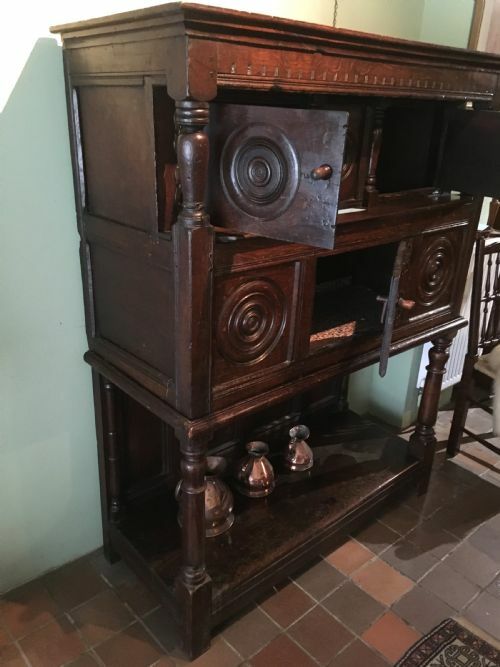 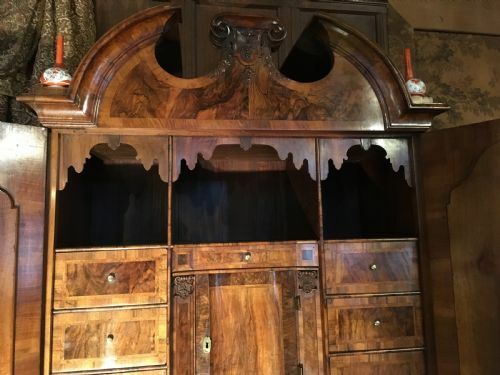 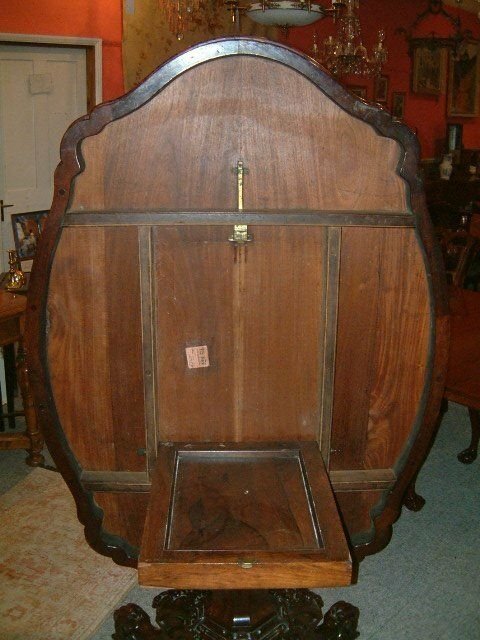 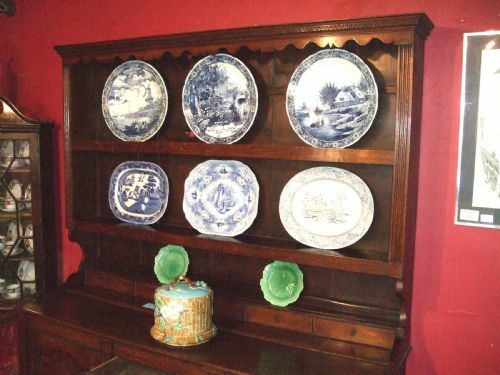 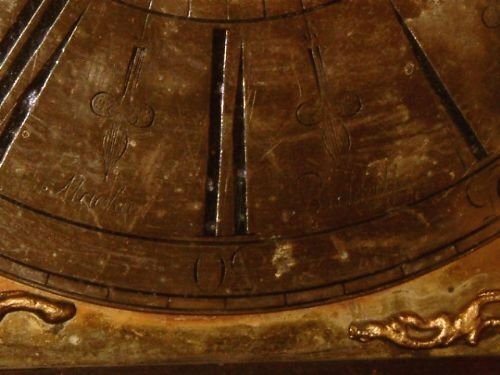 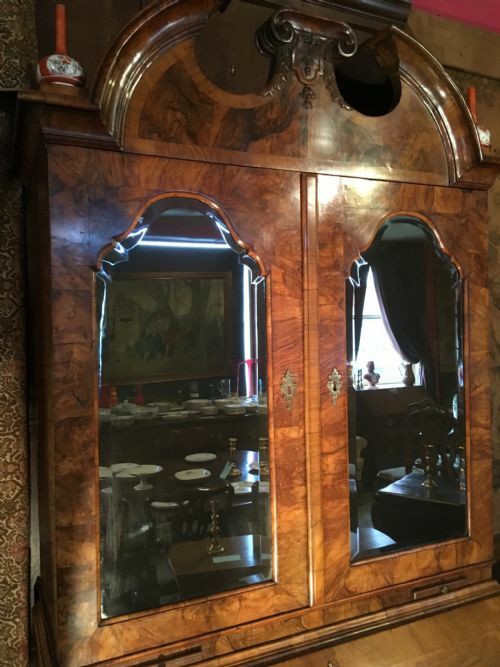 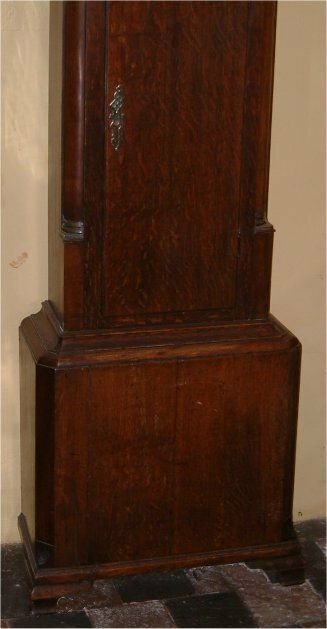 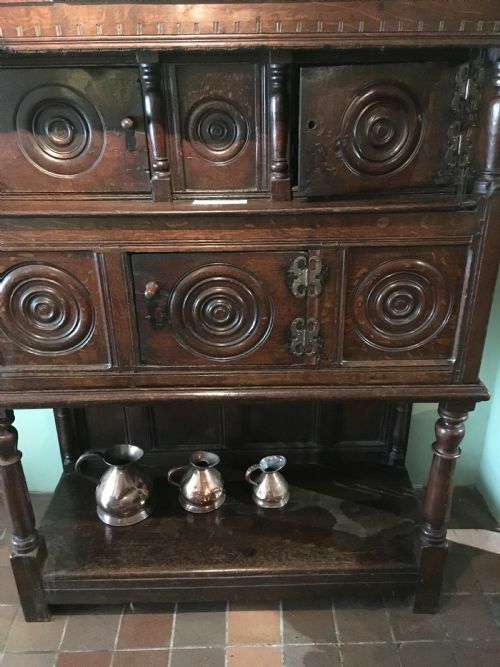 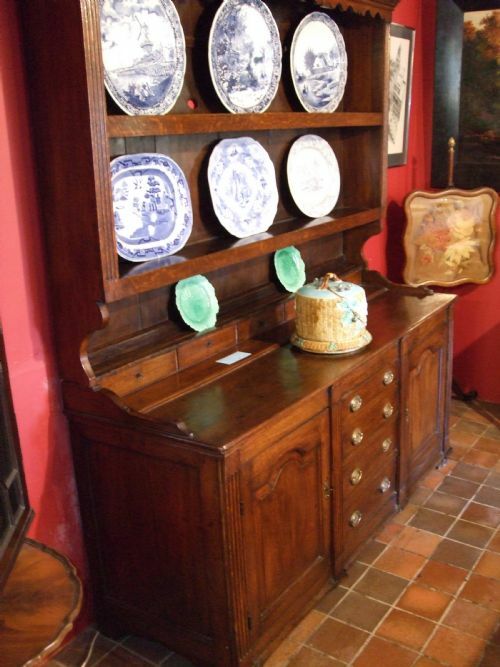 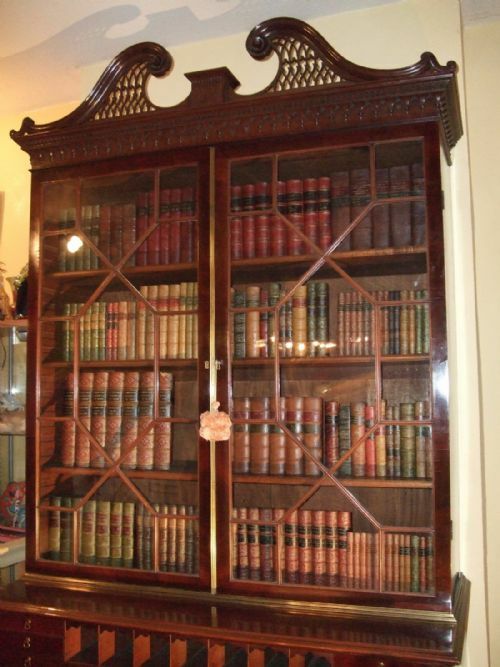 17thC Oak Court Cupboard of Unusual Design. 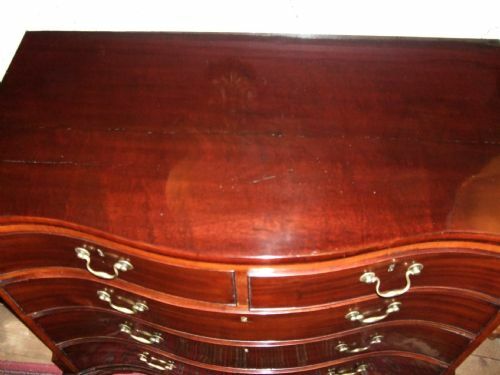 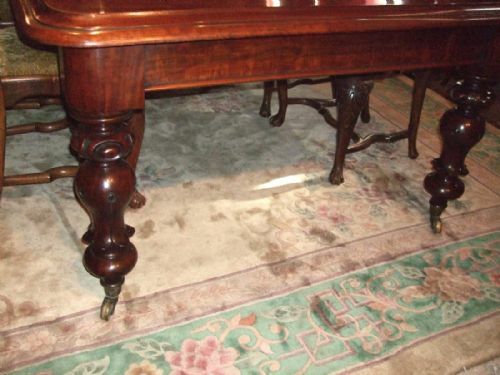 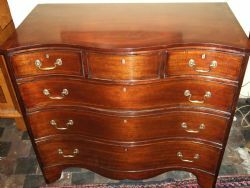 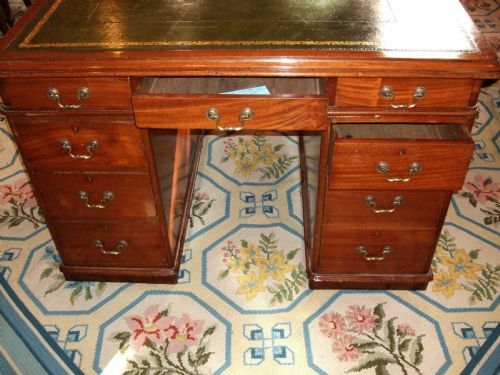 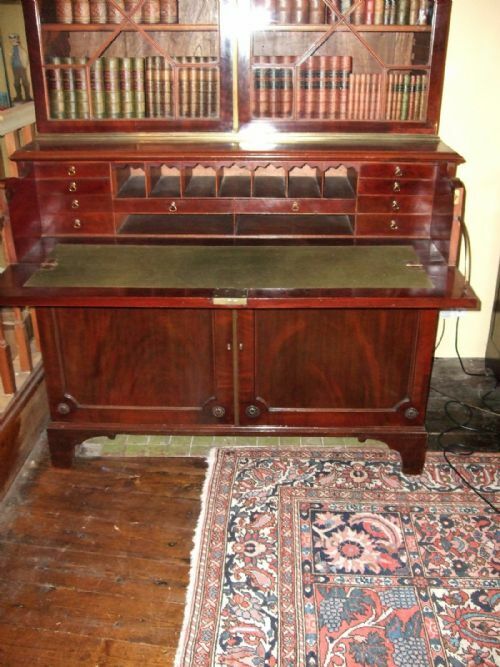 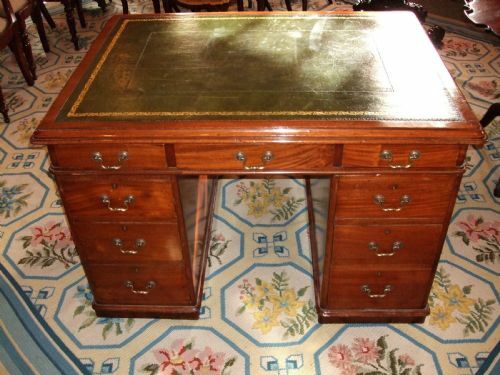 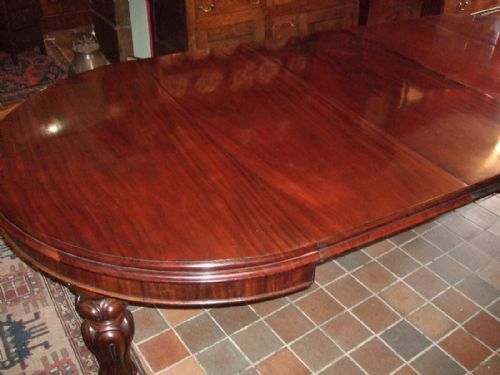 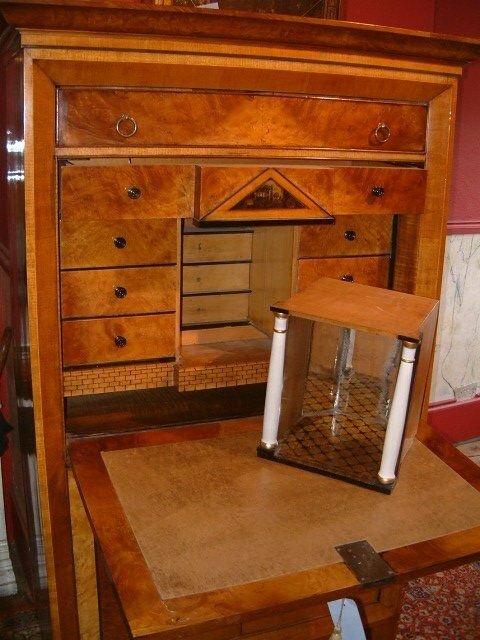 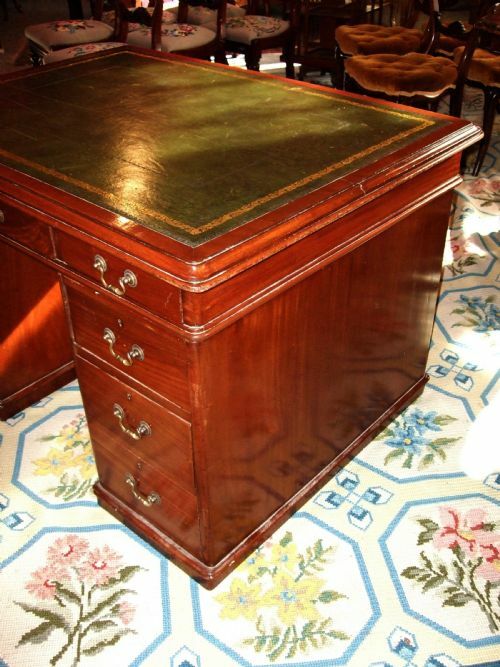 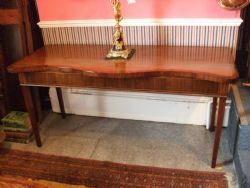 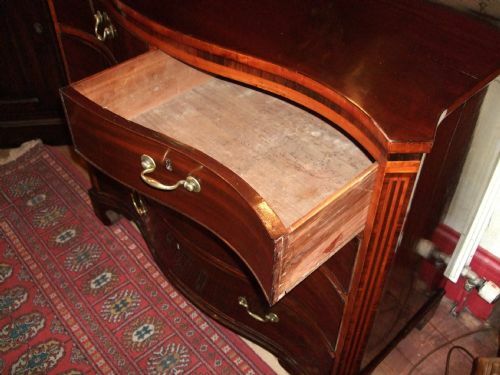 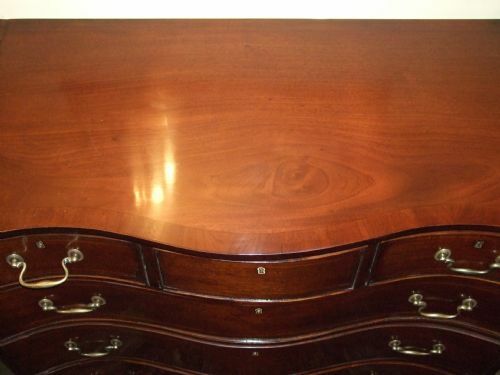 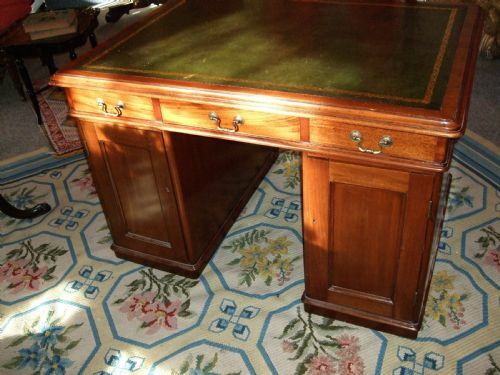 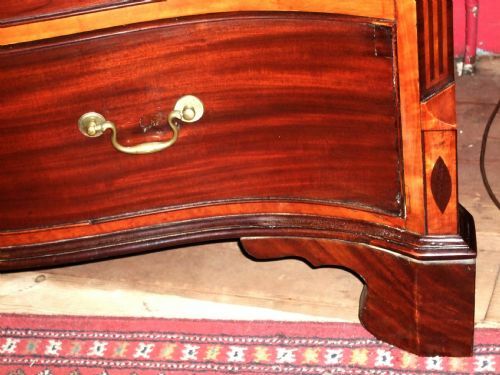 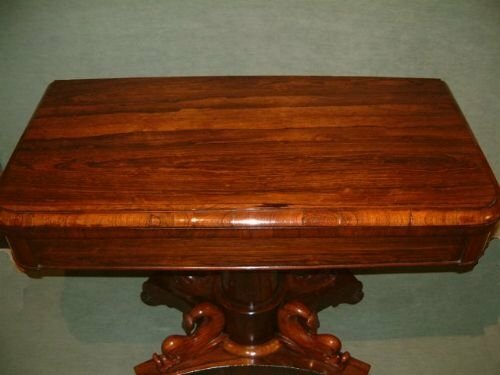 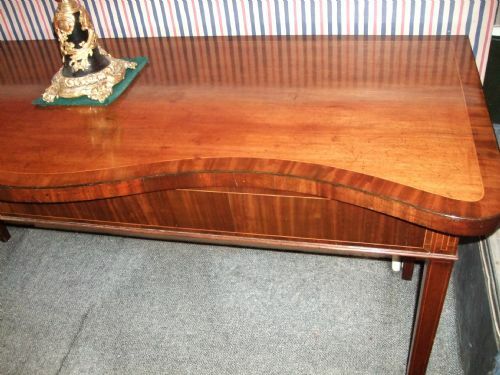 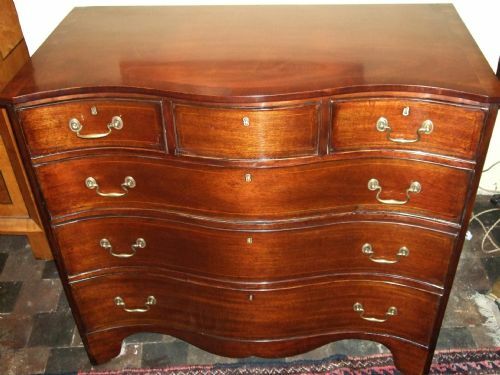 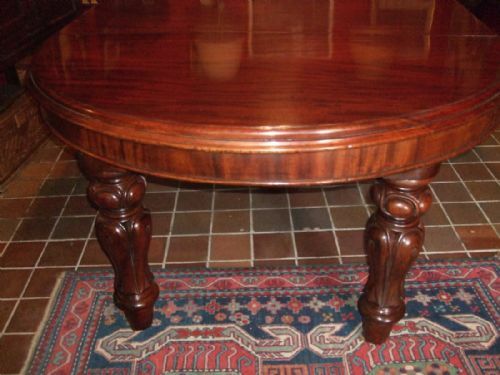 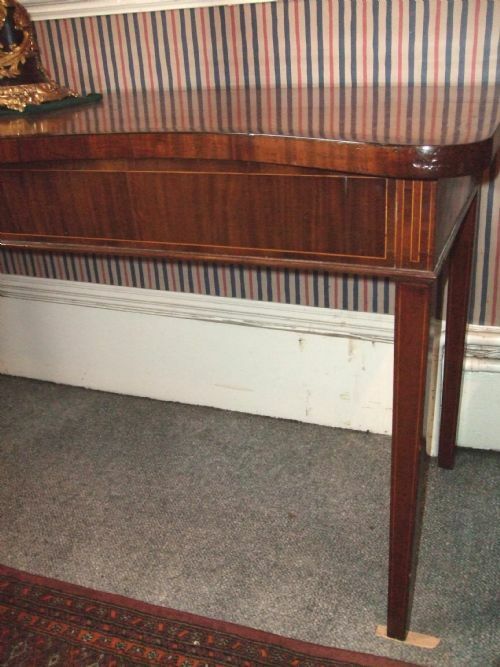 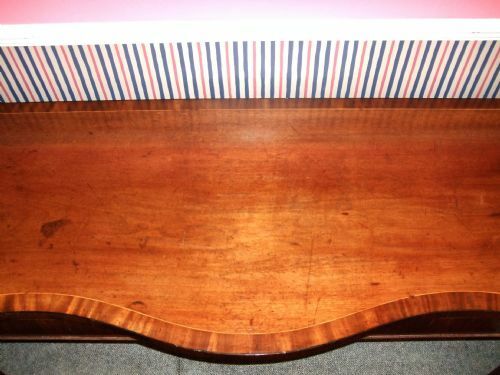 18thC Mahogany & Inlaid Serpentine Serving Table Possibly Irish. 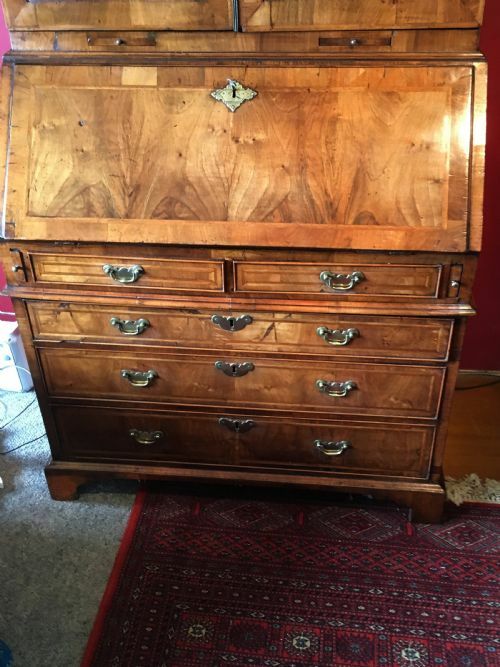 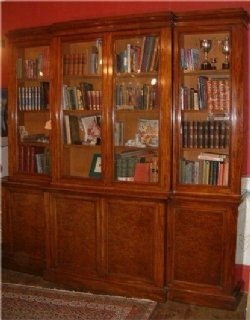 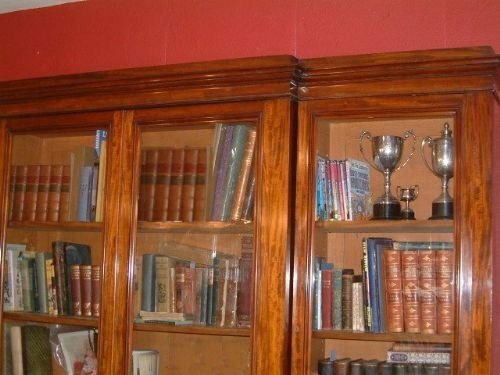 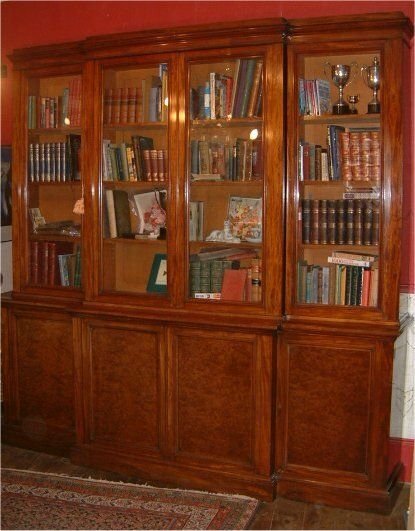 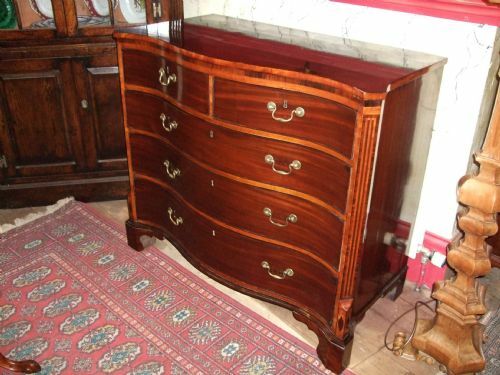 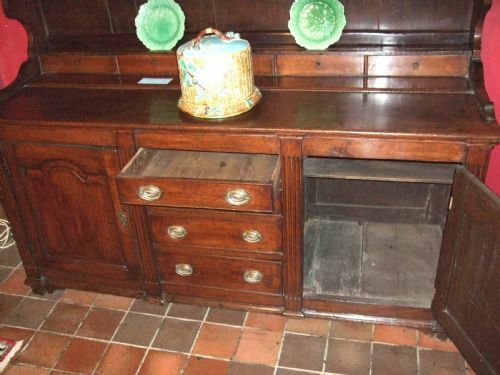 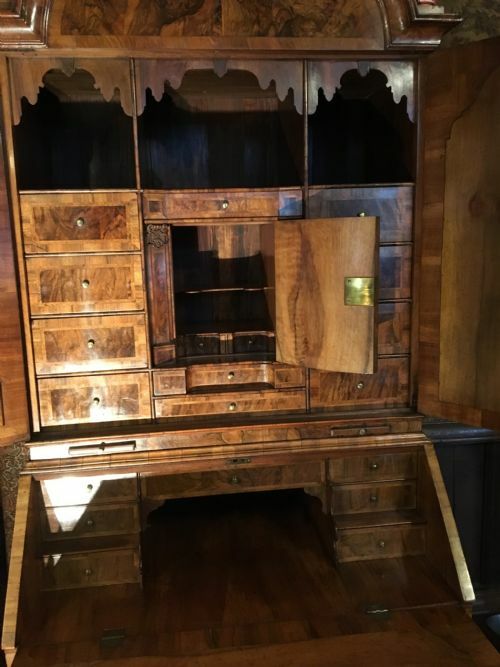 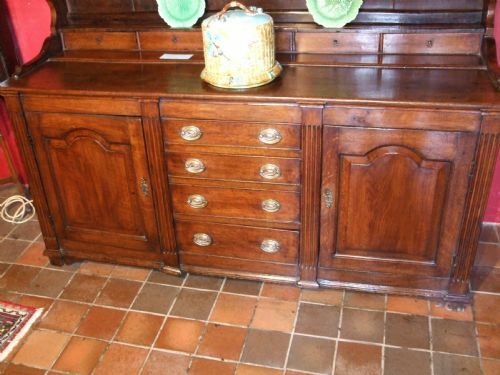 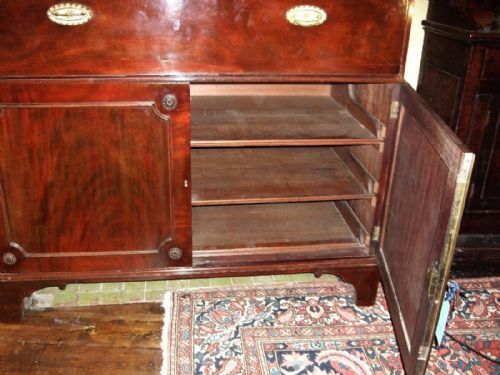 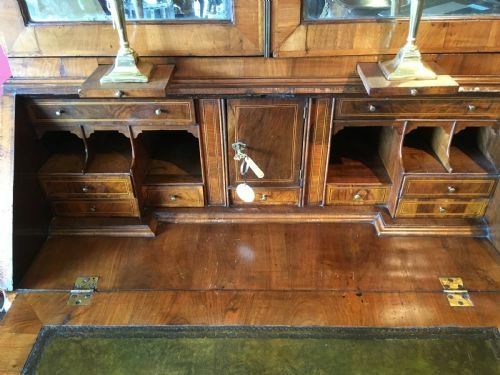 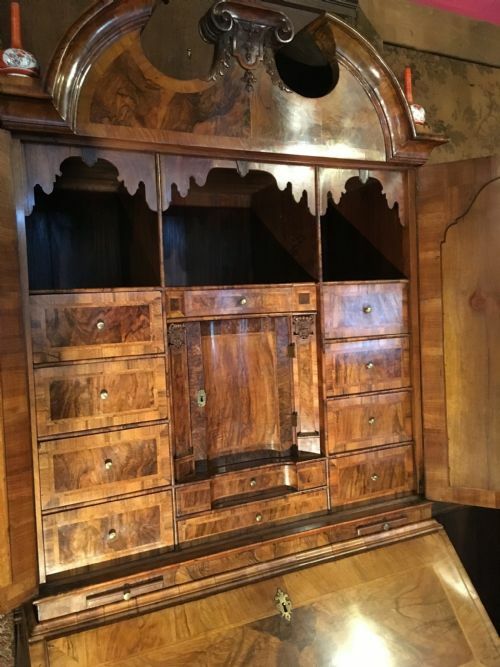 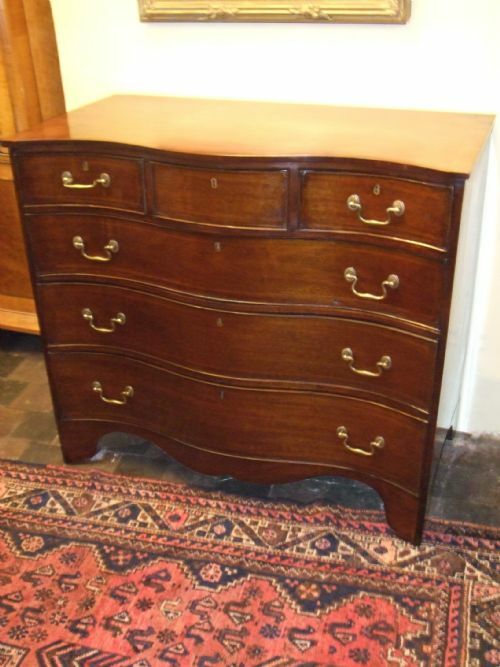 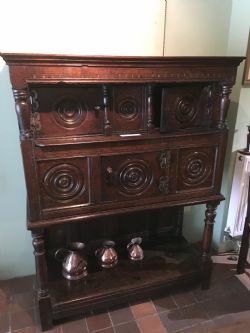 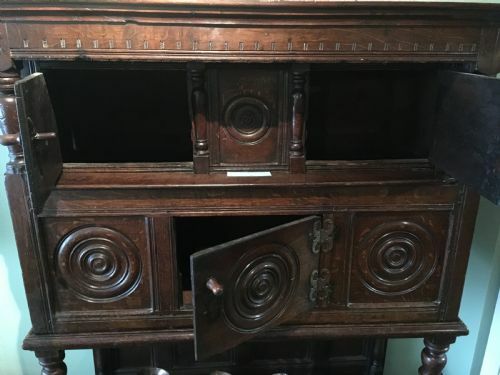 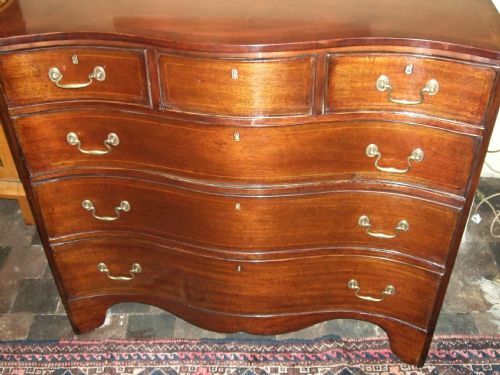 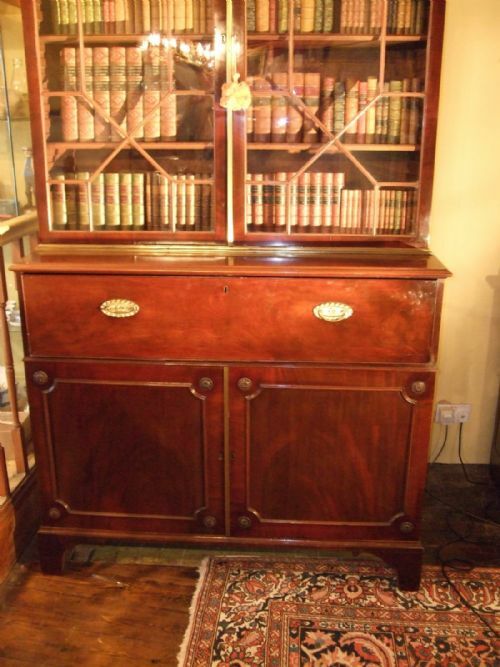 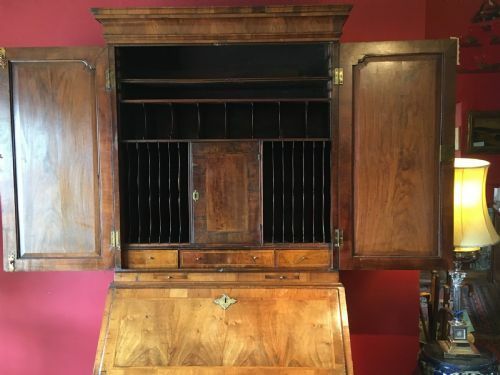 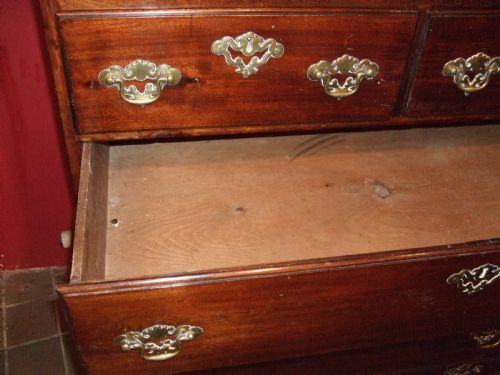 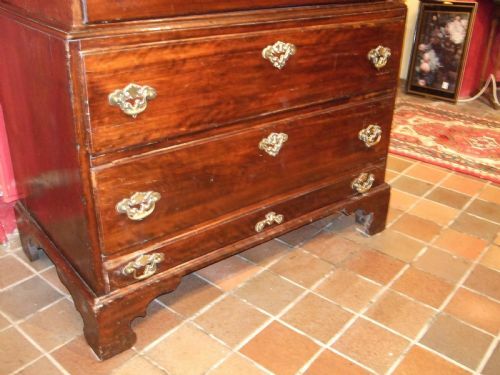 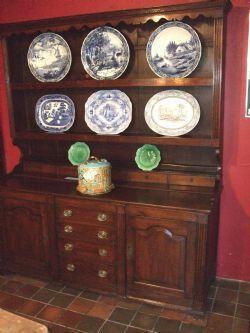 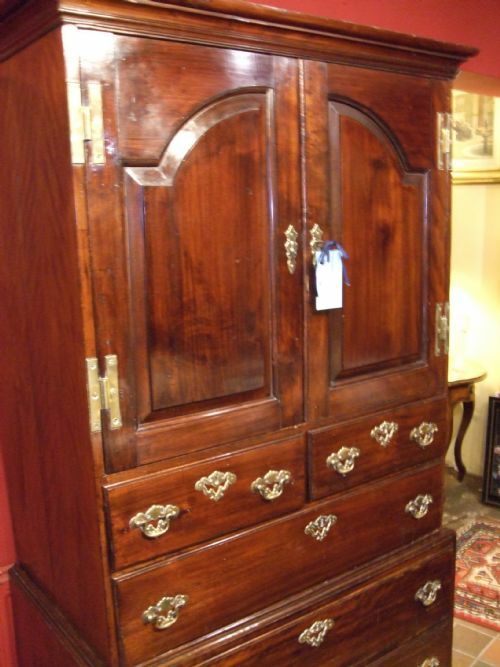 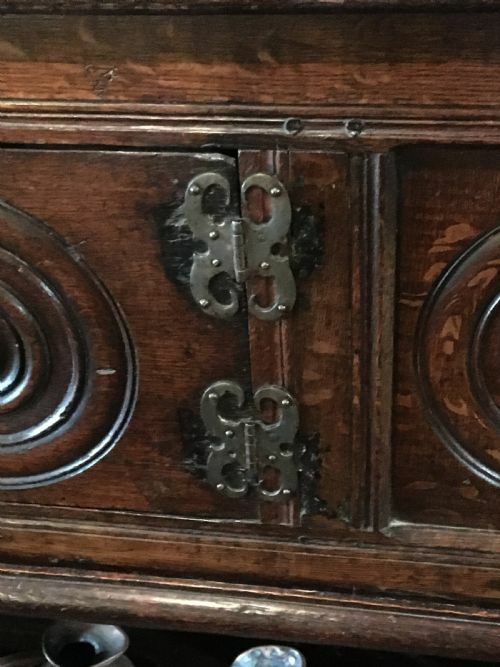 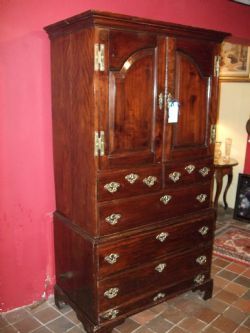 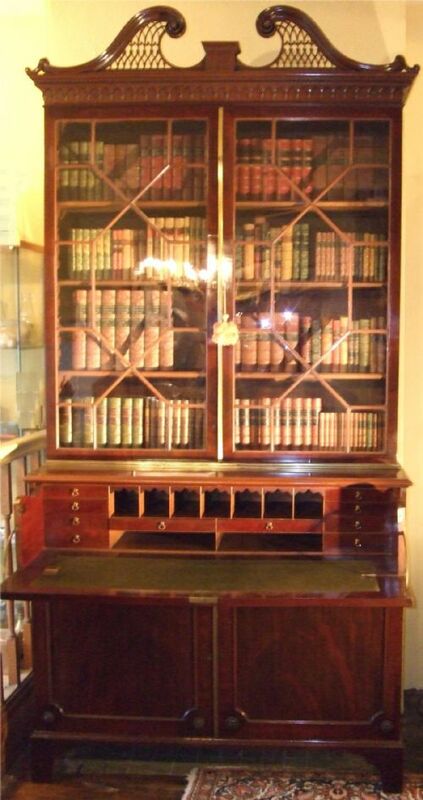 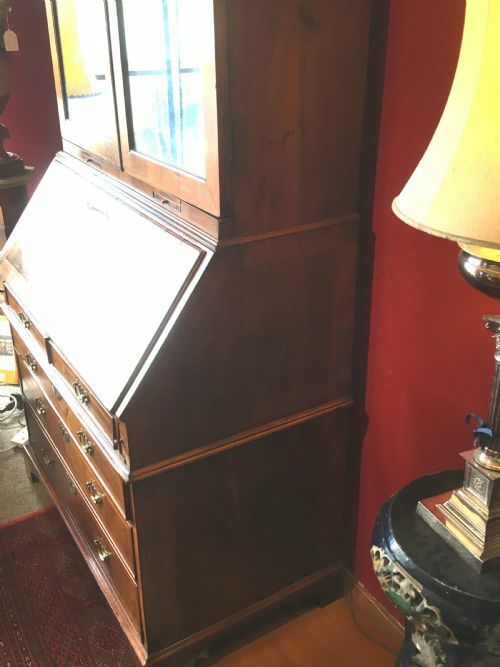 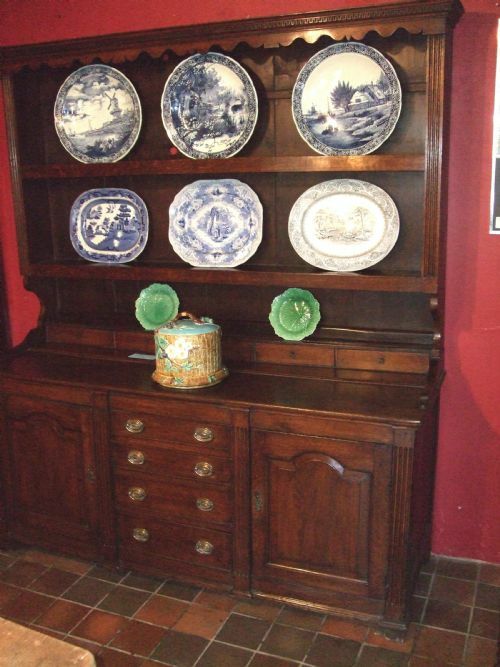 George 3rd Oak Dresser & Rack with Original Brasses. 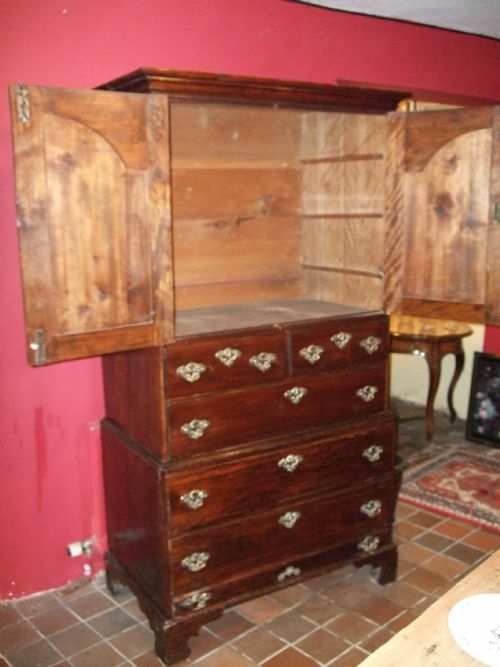 With Graduated Drawers and Two Cupboards to the Base.